Owns a landline phone, a mobile phone, a television. Doesn’t own, nor is interested in owning, a computer. Knows about the internet, and occasionally asks his daughters to check prices online for him prior to important purchases. Subscribes to a daily weather forecast sent via SMS. Can read text messages, but doesn’t send them: the characters are too small and the keyboard is not easy to use to input them. The mobile phone is mostly a way to be always reachable by his daughters. Local calls are made on the landline, which is cheaper. Gets most of the information he needs about farming (prices, new policies, help with crops, etc) from his neighbors and co-villagers, traders and nearby shopkeepers, and agricultural extension workers. Not interested in increasing his income, so the price that itinerant traders offer for his crop is good enough. Mr. Liu* is a farmer in his 50s, who lives in a small village in the Chinese Northern province of Shandong. Officially, there are 800 people in his village; in practice, only about 100 live there full-time: everybody else has migrated to urban areas to find jobs in factories, shops, and the service sector. Mr. Liu is married, and he and his wife have three grown daughters, all living in cities. The first two graduated from university, the third from high school. The daughters come back to visit their family once or twice a year, and they are in regular contact via the phone. They gave each of their parents a mobile phone so that they can reach them at all times. Mr. Liu and his wife always carry their phones with them, but use them almost only to receive calls from their daughters. For local calls, they use their landline, which is cheaper. Their village doesn’t have running water, but has had phone lines since the late 1990s, and has reliable electricity. 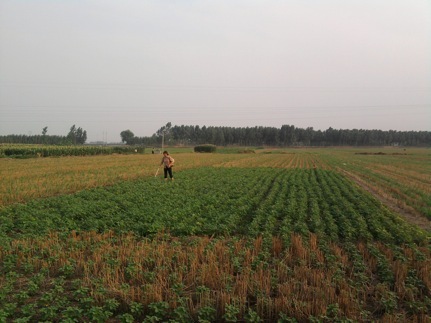 In China, the average age of farmers is increasing, which often means that farming serves as a combination of income generation and social security. Farmers who do not have any kind of state pension grow crops that can be both sold and eaten, and their main concern is predictability of income. The central government has established minimum procurement prices for major grains, including wheat and corn, in order to protect farmers from the volatility of international market. For older farmers in this area, these are the crops of choice. However, when he needs to make major purchases, such as, most recently, a refrigerator, he will call one of his daughters on the phone and ask her to check the price on the internet, to see if he’s getting a good deal from local shops. Mr. Liu is well aware of the possibilities offered by the Internet and by computers, but is not very interested in trying them out directly. He remembers previous efforts to educate farmers through television programs well: he wasn’t interested then, and he is not interested now, although he admits that the internet could be a powerful tool for farmers younger and more ambitious than himself. His knowledge about the Internet and his capacity to master the basic functions of a mobile phone come from his daughters: they are his ‘technology intermediaries,‘ who can patiently and repeatedly explain basic functions, as well as carry out more complicated ones, such as looking up prices for important purchases Mr. Liu is planning. Technology intermediaries, typically family or younger people in the village, are crucial to connect older and/or less educated people in rural areas to the possibilities offered by new technologies. The subsequent use is more centered around ‘keeping in touch’ and entertainment, but it is nonetheless extremely valued. But Mr. Liu is not a luddite: he is happy to have a mobile phone so that he can stay in touch with his daughters – a concrete goal that is meaningful for his life and worth the effort of learning how to use the phone. The SMS-based weather forecast has also proven to be a useful, low-stress and low-cost function. Fan, C. C. (2009). 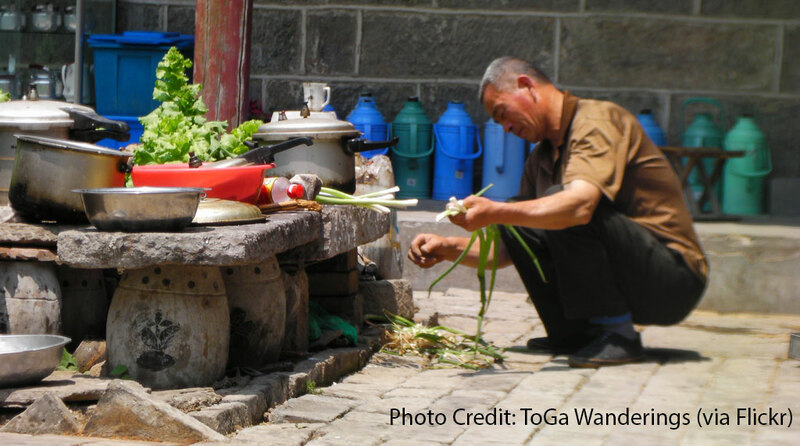 Flexible work, flexible household: Labor migration and rural families in China. In L. Keister (Ed. ), Work and Organizations in China Afterthirty Years of Transition (pp. 377-408). Emerald Group Publishing Limited. Oreglia, E., & Kaye, J. J. (2012). A Gift from the City : Mobile Phones in Rural China. Proceedings of the ACM 2012 conference on Computer Supported Cooperative Work (CSCW ’12) (pp. 137-146). New York, NY, USA: ACM.